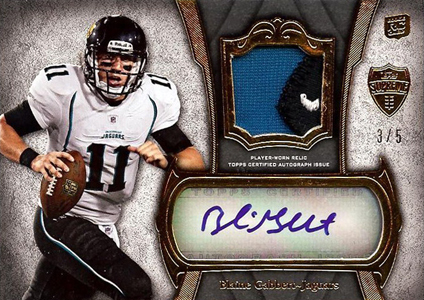 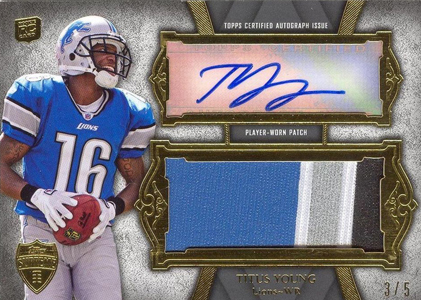 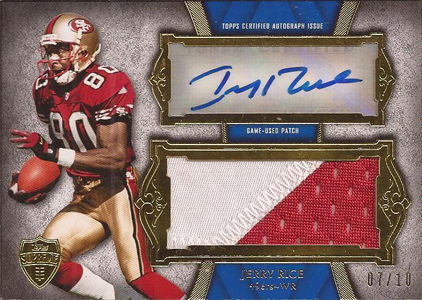 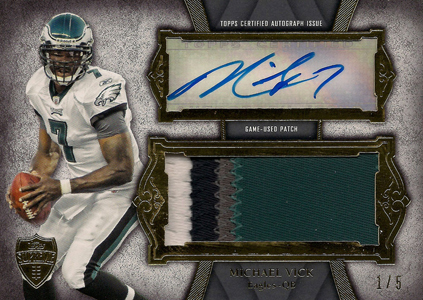 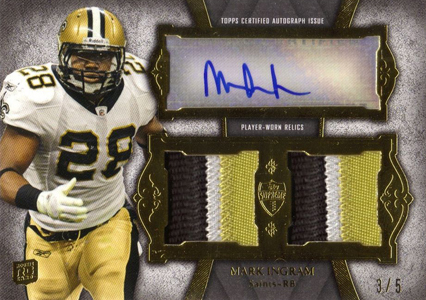 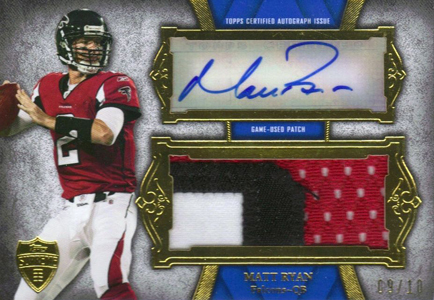 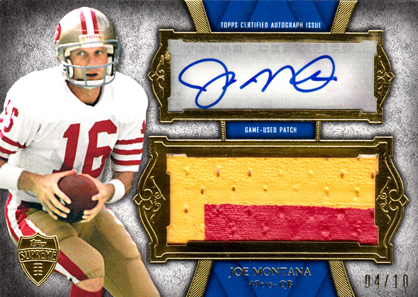 Early returns on 2011 Topps Supreme are showing some excellent breaks. 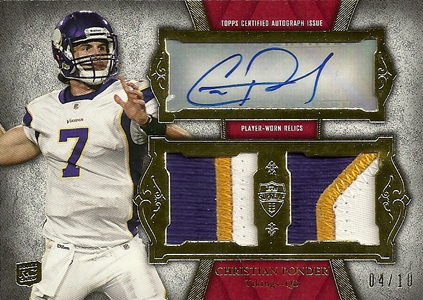 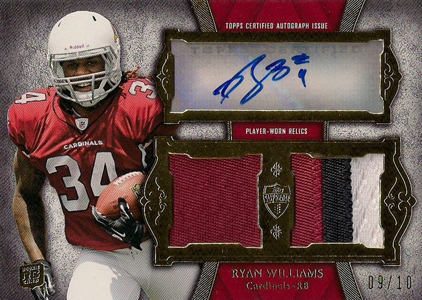 Among the many highlights are the autographed patch cards. 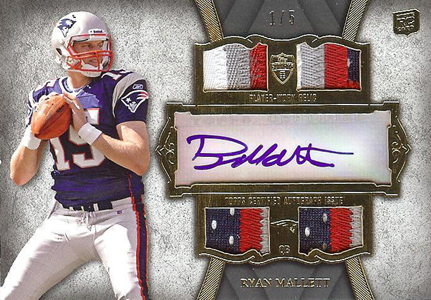 They come with several versions including single, dual, quad and jumbo swatches. 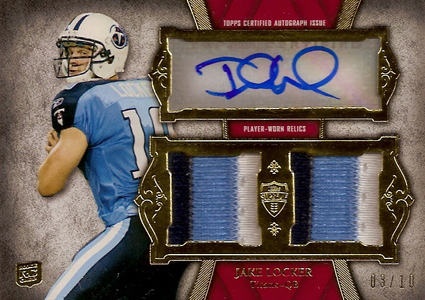 Further adding to the interest are the low serial numbers. 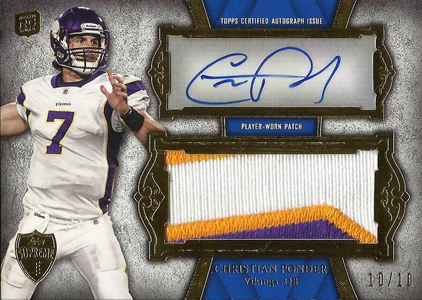 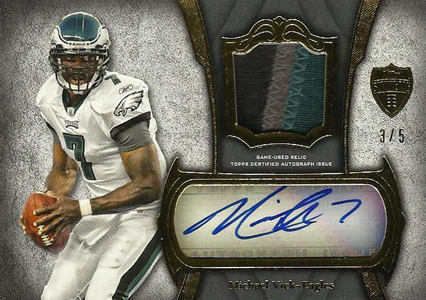 For the patch autographs, most are numbered out either 5 or 10. 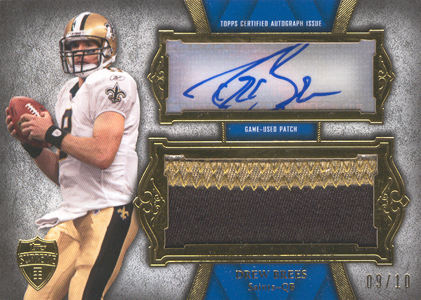 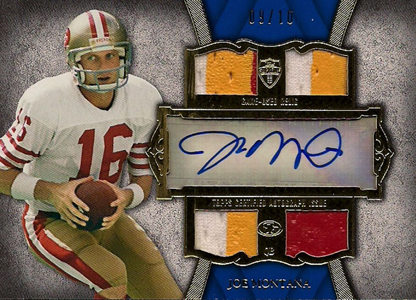 While rookies make up the majority of the cards, collectors can also look for current superstars like Drew Brees and such Hall of Famers as Joe Montana and Jerry Rice. 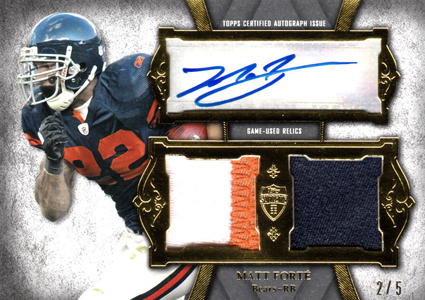 Here's a quick look at some of the early highlights that have been pulled thus far.